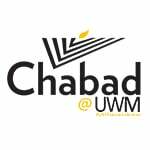 Chabad Chassidism originating in the Russian town of Lubavitch, is a system of religious philosophy that teaches understanding and recognition of the Creator through the application of the three intellectual qualities of Chochmah (wisdom), Binah (understanding) and Daat (knowledge). The initials of these three Hebrew words form the word "Chabad". While faith and belief in G‑d form the foundation of our religion, Chabad insists on intellectual study and understanding of religious truth by everone according to his intellectual level, in order to come closer to the service of G‑d in both mind and heart. Though Chabad Chassidism is a system that reaches into the deepest mysteries of the creation, it makes ample use of illustrations and examples from experience, so that it becomes underdstandable even to those who are little gifted with the power of theoretical or abstract thinking. The virtue of this Chassidic philosophy is that it does not stop at theoretical teachings. It motivates and induces those who study it to translate their intellectual knowledge into actual deeds and put them on a higher level of feeling and practice, inspired by the knowledge and intellectual appreciation of the basic truths, which Chabad expounds. Chabad Chassidism is a practical guide to all Jews in all walks of life, showing them how to enrich their Jewish experience by developing the attributes of both mind and heart through a concerted effort that come from their perfect harmony. The origin of today's Chabad-Lubavitch organization can be traced to the early 1940s when the sixth Lubavitcher Rebbe, Rabbi Yosef Yitzchak Schneerson (1880-1950), appointed his son-in-law and later successor, Rabbi Menachem Mendel, to head the newly-founded educational and social service arms of the movement. Motivated by his profound love for every Jew and spurred by his boundless optimism and self sacrifice, the Rebbe set into motion a dazzling array of programs, services and institutions to serve every Jew. Today 4,000 full-time emissary families apply 250 year-old principles and philosophy, to direct more than 3,000 institutions in over 70 countries, dedicated to the welfare of the Jewish people worldwide.